SU Podium and more > Categories > Main Messages Board > How to control extent and proportions of rendered image? I'm fairly new, and getting deeper into SU Podium. One issue I have, and I've searched SU and Podium tutorials, etc, is this: How can I control the extent (boundaries) and proportions (2:3, 1:2, etc) of the rendered image. My rendered images are always much more expansive than what I am looking at in the screen window. I have to crop, sometimes drastically, to get the image that correspond to what was on the screen. And to do this, I have to increase the number of pixels by a large amount. 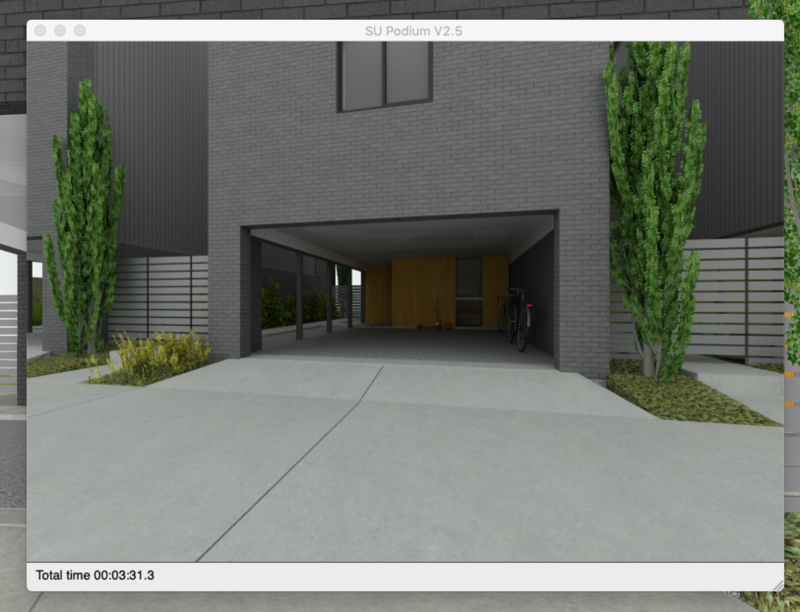 First is a screen shot of the Podium Rendering Progress window (raw and needing lighting iterations). You can see that the extent of the scene rendered is much more than the desktop image. There must be a way to set up and manage rendered images. I hope !!! I know I'm missing something, but what? Is there a way to make a 'viewport' to work in that will also render? Can you point me to SU Podium (or SU) tutorials, guides, etc that would help me learn these steps? This is easy, in the Output Tab of the Settings dialog, choose the Viewport option. That should render exactly what you see on the screen. If it doesn’t, there is most likely a conflict with another plugin. Its normally faultless though. Yeah, it looks like you're using a safe frame / aspect ratio mask -- is that from Advanced Camera Tools, RLB? As useful as it is, Podium just ignores it unfortunately. 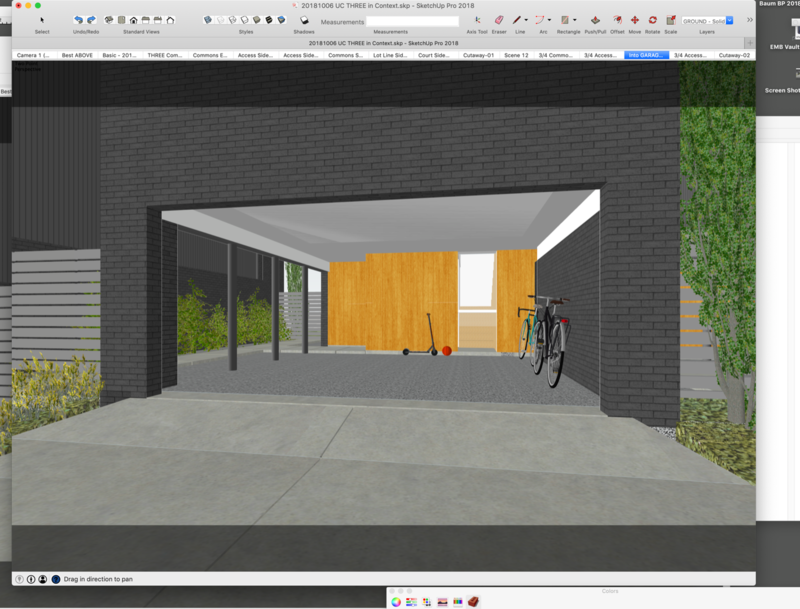 As long as you go back to a regular SketchUp camera and do what bigstick said it will render exactly what you see in the viewport. Thanks! And thanks for answering so many questions by users, filling in techniques and ways of doing things that beginners like me need. Yes, I reset the basic camera and the toned 'ears' on either side of the image disappeared. Extents conform now.